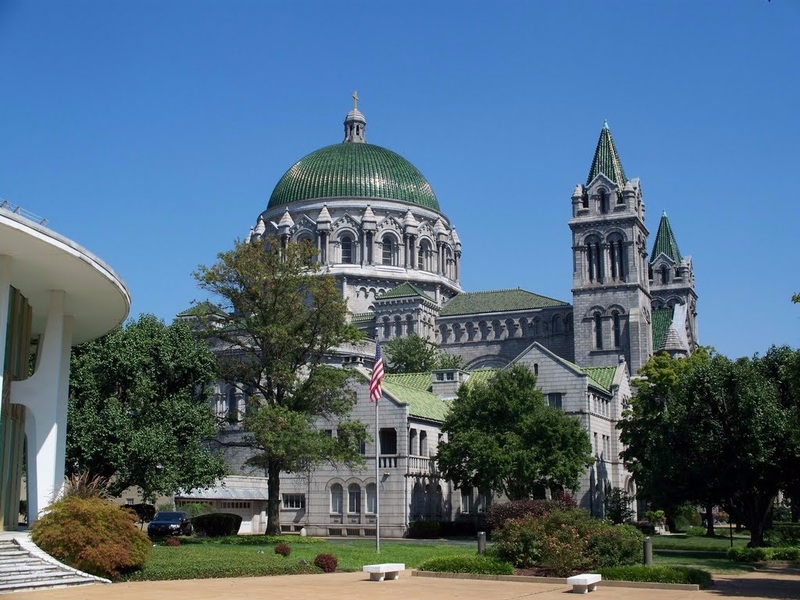 On a certain Sunday 68 years ago today Dr. Mario Salvador AAGO, then organist of the Saint Louis Cathedral Basilica (photo), played the dedication recital on its entirely rebuilt and greatly enlarged IV/77 (four manual, 77 rank) Kilgen liturgical pipe organ. On that same say a little boy was born in Saint Louis who would go on to study the organ with Dr. Salvador on that same instrument, in that same space, some 20 years later. This is not just a curious coincidence but a reminder that we don't come into this world as some passive, generic blob waiting for the world to stamp its imprint on us. No, we all show up here with a specific personal destiny, a job to do, a calling to enact, a Self to become. Our job in this lifetime isn't to shape ourselves into something we imagine ourselves to be but to find out what we already are, and become it. If we can play something, anything, at an organ, or if we have the desire to do so that won't seem to go away, then it's part of our job to become an organist to the best of our ability and get down to business.